This morning I was reading the paper and quickly got very depressed. The terrible economy and other things I don’t even want to mention. Truly, what started out as a perfectly terrific morning was quickly turning sour. That’s no way to start the day! I decided that I would separate the bad stories from the good and do something with the newspaper that had all the good news on it. l like to call them Good News Jewels. On these cuffs are stories of triumphant kids and successful businesses and yummy looking food recipes. Who says in this economy we can’t have some fancy jewelry to wear? 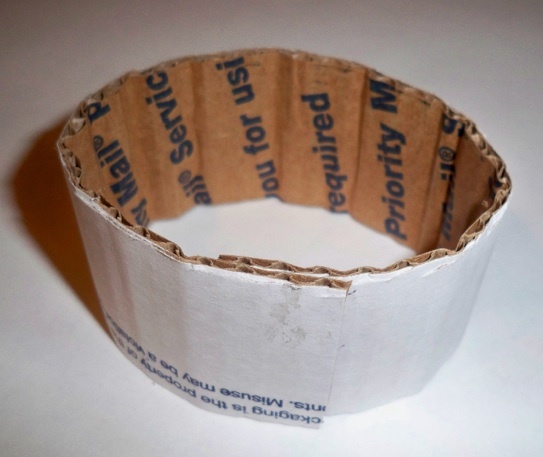 Step 1: Cut your cardboard 1″-2″ wide and about 10″ long. 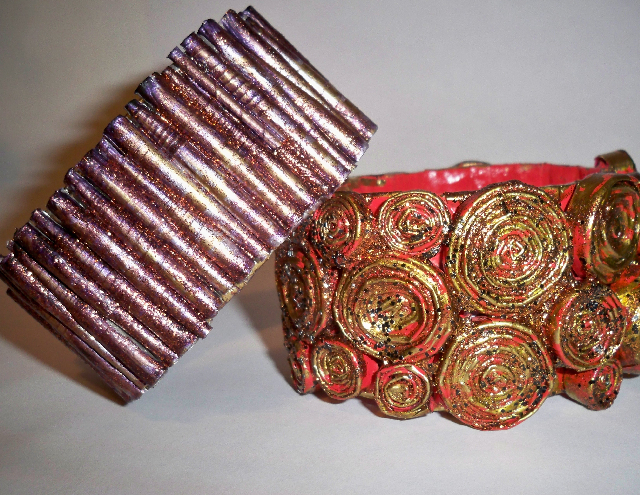 Curl and glue into a cuff that will slip on to your wrist. 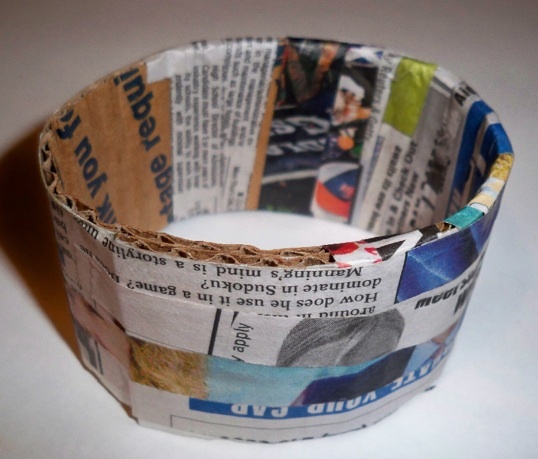 Step 2: Using Elmer’s, glue on strips of newspaper until your cardboard cuff is covered. 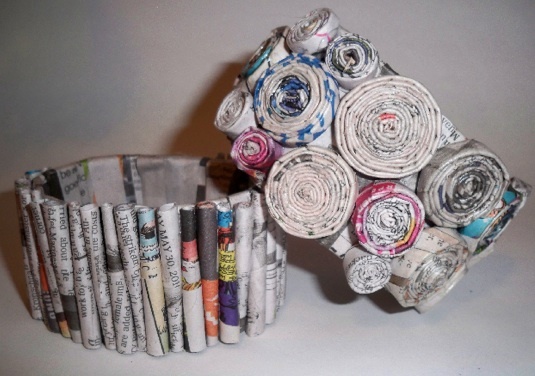 Use a lot of newspaper to give it strength. 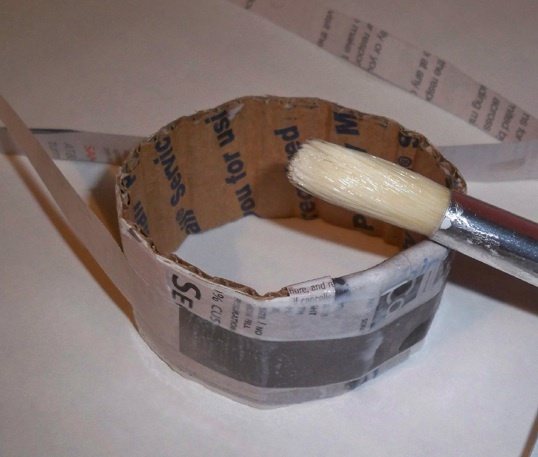 Step 3: Cut newspaper into 1 1/2″ wide strips. 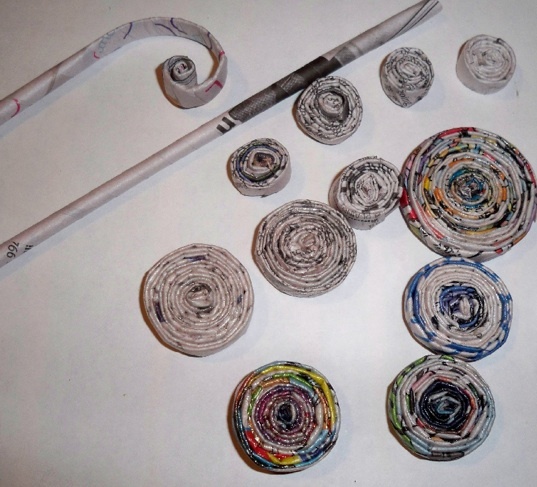 Roll the newspaper at a slant to make straws and finish ends with the Elmer’s Glue. 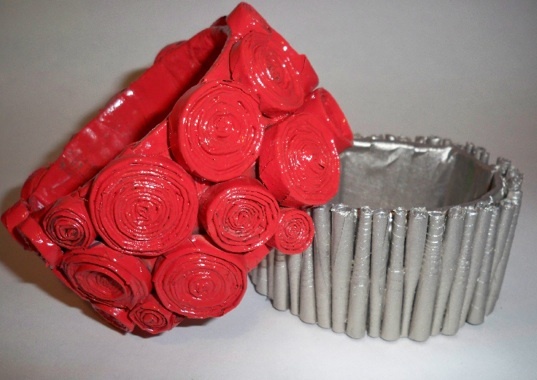 Use straight straws for one bracelet and roll some in to circles for the other bracelet. 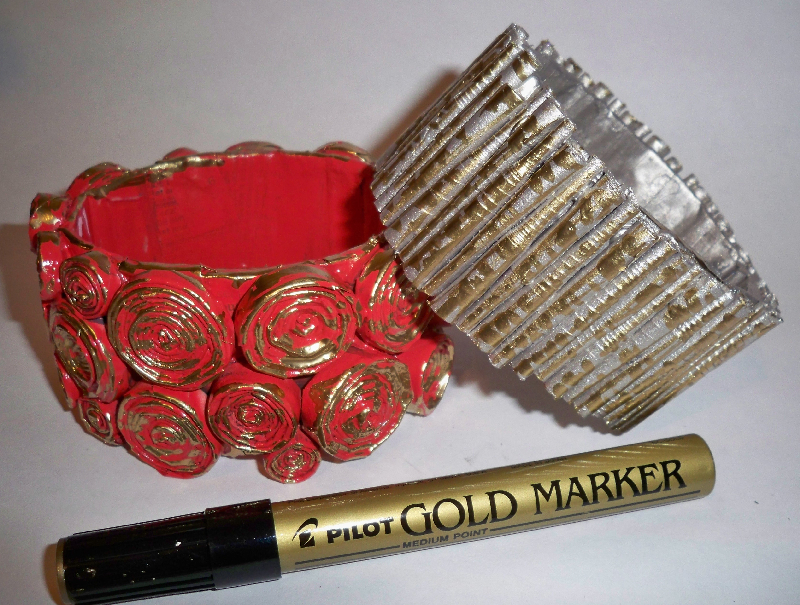 Step 4: Hot glue the circles and straight straws on to your cuffs in a pattern you like. Step 5: Spray paint with Krylon in a color you like. 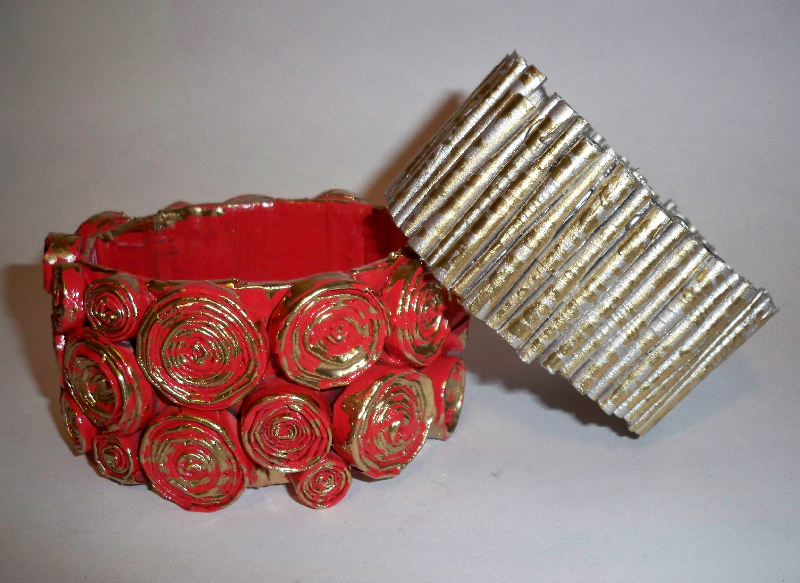 Here I chose a coral and nickel.